While many brides set out to create a DIY wedding with homemade touches — whether it be centerpieces, favors or a candy buffet — some brides even go as far as making their own wedding jewelry. 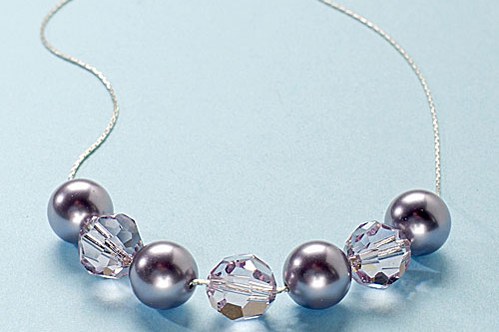 Stacy Werkheiser, Associate Editor at Bead&Button Magazine, created her own wedding jewelry for her June 2010 wedding. 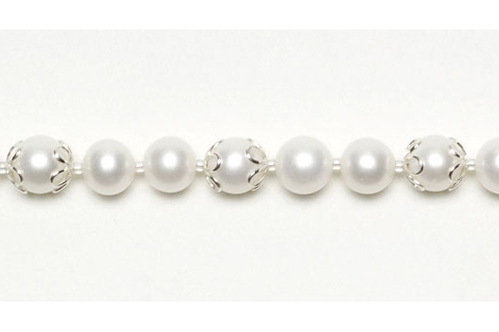 She’ll admit, working for a beading magazine certainly helps when setting out to make your own wedding jewelry, but designing something to fit your style is another challenge altogether. 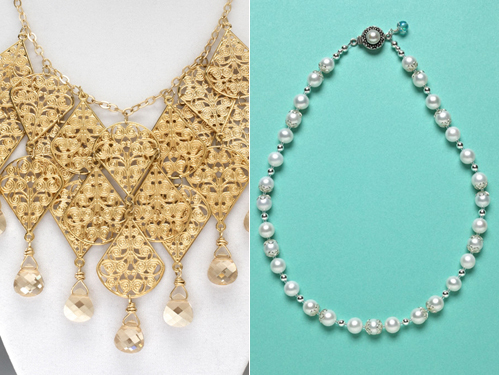 If you’re a bride willing to take on the challenge of making your own wedding jewelry, start with your inspiration. Chances are you have an entire vision of how your wedding day will look and an overall theme to pull from. Kelsey Lawler, Editorial Assistant at Bead Style Magazine, says to keep these factors in mind: the bride’s neckline, venue, color scheme, and overall style, when choosing bridal accessories. Stacy purchased the beads she needed to make her bridal necklace and earrings at the annual Bead&Button Show Jewelry Marketplace. This year, the marketplace will be held at the Delta Center in downtown Milwaukee, and is open to the public Friday through Sunday, June 7-9. Over 370 vendors will be selling both finished jewelry and precious gems, pearls, art beads, gold and silver, and beading supplies. So whether you’re determined to make your own wedding jewelry, looking to buy something unique or just want to get a feel for the bead selection, these shopping days will offer that.